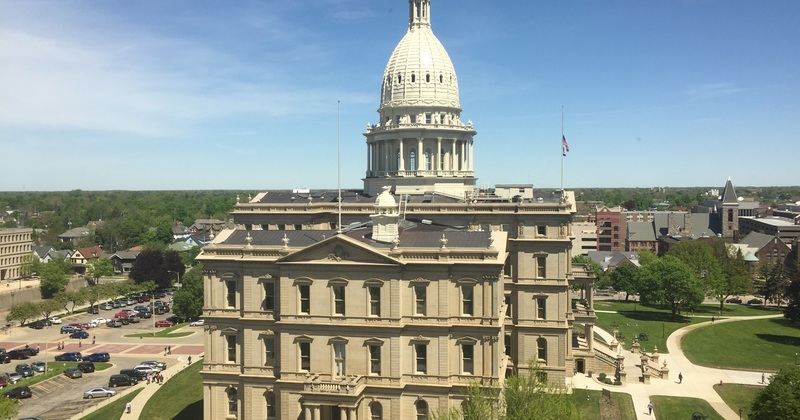 This edition of the Roll Call Report highlights bills related to issues that may arise in the coming lame duck legislative session. Introduced by Sen. Dave Hildenbrand (R), to delete the provision of a 2018 initiated law that repealed a lower minimum wage imposed of tipped workers, which had been 38 percent of the minimum wage for other workers. (Under that law, a tipped-worker’s employer still had to pay the difference between the lower tipped wage amount and the regular minimum wage if tips come up short.) The initiated law was enacted by the legislature in September of 2018 and is now Public Act 337 of 2018. The bill does not affect the initiative’s minimum wage hike for non-tipped workers. Introduced by Sen. Mike Shirkey (R), to remove an employer liability provision of the 2018 initiated law that imposed a mandate on employers to grant employees one hour of paid leave for every 30 hours worked, up to a total of 40 hours annually for small businesses, and 72 hours annually for larger employers. The targeted provisions impose extensive record keeping requirements on employers, and potentially create a legal presumption that missing records means an employer has violated the law. The initiated law was enacted by the legislature in September of 2018 and is now Public Act 338 of 2018. The bill does not affect the actual sick leave mandate the initiative imposed on employers. Introduced by Sen. Tom Casperson (R), to give the Mackinac Bridge Authority the authority to install a utility tunnel under the Straits of Mackinac. This would contain a controversial oil pipeline, power lines and other utility infrastructure. The bill authorizes the Authority to borrow and levy user fees to build and operate the tunnel. To exempt a person age 65 or above from having to buy the unlimited personal injury protection (PIP) coverage mandated by the state’s no fault auto insurance law. Specifically, these individuals could buy either unlimited injury coverage or a policy that caps medical coverage at $50,000, with injury expenses above that amount covered by the individual's Medicare and related coverage. Introduced by Sen. Joe Hune (R), to restrict the amount that can be charged for long term “attendant care” provided by family members to crash victims under the state's no fault insurance law’s mandatory unlimited medical coverage. Introduced by Rep. Tim Kelly (R), to create a state commission to develop a system that assigns each public school a letter grade between A and F based on its achievement in six specified indicators: math and English proficiency; math and English progress; progress of non-English speakers at learning the language; graduation rate; absentee rate; and the rate of participation on statewide tests. Introduced by Sen. Marty Knollenberg (R), to require public schools and local police to develop emergency response plans for a broad range of specific risks including school violence and attacks. Also, schools would be required to have plans to improve school building security, plans to train teachers on mental health, and an active shooter protocol. Introduced by Rep. Brandt Iden (R), to establish a permissive licensure and regulatory regime on fantasy sports games and contests that offer money prizes, with games subject to specified restrictions and requirements, and an initial license fee of up to $5,000 for would-be vendors. Game outcomes would have to be the result of player skill and knowledge and not just chance, with prize amounts specified in advance. Individuals who run small scale fantasy sport games from their home would be exempt from licensure.